Diablo and Marvel Heroes creator, and Blizzard North co-founder Dave Brevik is an industry legend. He's seen a lot in his storied career, and was good enough to entertain some questions about it over lunch at this year’s NZ Game Developers’ Conference. Q: What does a typical day for you look like? Dave Brevik: We’re focussed on two products: Marvel Heroes and Marvel Super Hero Squad Online, so a lot of my day revolves around making sure their releases for the week are gonna make it, ‘cos we patch [Marvel Heroes] every week. What do we have planned? What’s the event? What are we putting in? Is marketing coordinating? Making sure all those wheels are turning. But the real answer is: there are no typical days, because every day is completely unique. It’s ‘Oh my god, there’s an emergency in this!’ or ‘There’s an HR issue’. Right now we’re going out and raising some capital. That’s the fun of the job – every day is something different. But typically I’m working on or giving advice and feedback on Marvel Heroes. Q: What have been the biggest changes you’ve witnessed since you entered the industry? Dave Brevik: There have been a bunch of ‘em! I was the only person working on my first project [laughs]. That’s come full circle in that with mobile gaming it’s possible again. But if you’re making what was considered state-of-the-art games – console games and PC games – during that time, it was a small team of four or five people on the project. That team grew to 10, then 20, then 50, and now 100 or 200 (and I heard they had 300 on Destiny). That’s the biggest thing – the risks are much greater because the costs are much greater. Actually, that’s true and not true. Back then, the risk was all in the manufacturing. Now it’s all in the development. A long time ago, when we made cartridges it cost a lot to manufacture them, so if you over-manufactured, all of your profits would disappear. If you under-manufactured, you left money on the table. It was this balance and near-miracle act of trying to get near what the right number of cartridges to order was. Q: Do you think that rising cost makes for more homogenised or safe triple-A games? Dave Brevik: Yeah it does, absolutely. And this is why we see so many sequels and things like that. No executive at a company wants to take these risks – or there are very few that will. Oftentimes they’ll do something like take a risk, but only because a team has proven themselves. Slight risks. Anything that is kinda new and sprouts out of nowhere like League of Legends – an executive is not going to come out and say, ‘Oh Defense of the Ancients! We’ll fund this mod group to come out and make a game!’. It just doesn’t happen. Q: Why do you think the middle fell out of the market? Dave Brevik: It disappeared because people stopped buying those games. When you’re making something small, people expect it to be small. If it’s not small but not on the cutting edge, it’s always ‘Well it’s not as good as that triple-A game’. So it makes it really hard to have that middle ground. Q: Perhaps it’s a marketing problem – setting expectations properly? Dave Brevik: It is. Consumer expectations about what they’re getting. Q: Speaking of, what are your feelings on Kickstarter and Early Access? Dave Brevik: I think they’re great. I’m not convinced how long they’ll be around, but I’m obviously very much in favour of both, because they get stuff made. Making games is super difficult, and there’s going to be some failures there. I’m not convinced the consumer is going to be happy that they’ve paid for a product and it doesn’t ship, or it fails, or it fails to meet expectations. Player expectations are way higher when you are promoting something on Kickstarter and promising the world. I worry consumers will be burned too many times. Q: What do think of modern games in general? Dave Brevik: Games are getting better. Across the board, one of the things I think is amazing is the quality level of games is so much better than it was 10 years ago. It’s pretty incredible. Right now is really a good age. Q: You mentioned Destiny earlier. How do you rate it as a mash-up of RPG and shooter? 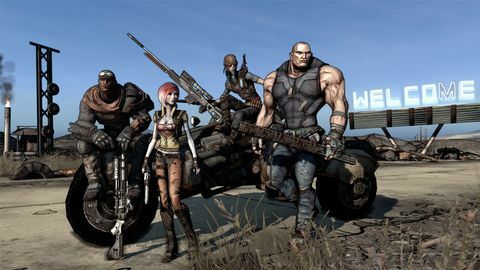 Dave Brevik: The one that’s done the best job there is Borderlands. Even then, there’s still room for improvement, and I think that mix could go a long way. The possibilities for a first-person action-RPG exist, and nobody’s taken it to the next level. I’m enjoying Destiny, sort of. If I play it for too long it makes me a little queasy, so I can only play it for about an hour before I need a bucket next to me or something. Q: What else have you been playing? 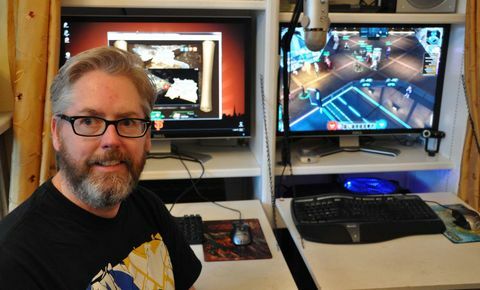 Dave Brevik: I play as many games as I can, and I don’t just play video games – I also play board games. I got the new version of FTL on my iPad, and I love that game, it’s superb. I even bought a T-shirt at PAX that has the starting ship from the game on the front. Before that, I was playing a lot of this ant game with my friends – Earth Defence Force. Always a good time just romping around shooting giant bugs. I’ve been playing Mario Kart with my kids, and the next thing I’m really excited about is Smash Bros.
Q: What do you think of the Oculus Rift, and of VR in general? Dave Brevik: I think that it’s really interesting. I think that now Facebook has invested so much money there, it’s gonna have to be something magnificent. Not only that, but they’ve hired every famous person in the industry to work on this thing! So I think people are expecting big things. I’ve used it before and it’s amazing. I’m not super convinced it’s for everybody though. 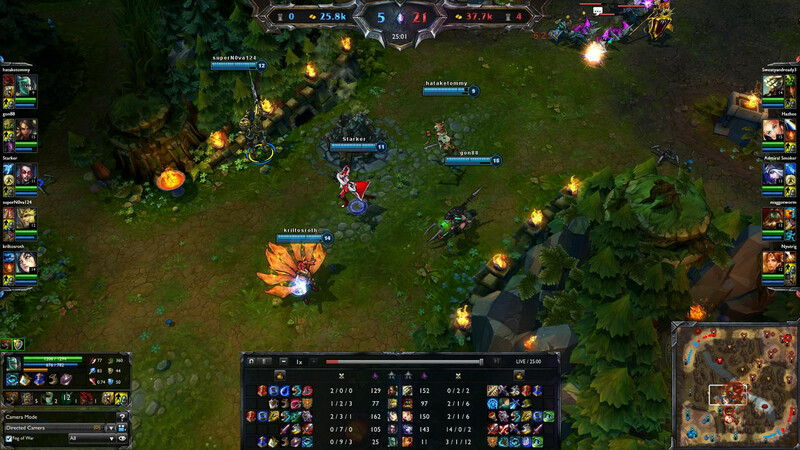 It is kinda the next step in games, having an incredibly immersive experience. I’m excited to develop something for it, but I’m very much in ‘wait and see’ mode, because I know that there will be a lot of competition in that space. I don’t wanna be on the bleeding edge. "The possibilities for a first-person action-RPG exist, and nobody’s taken it to the next level." 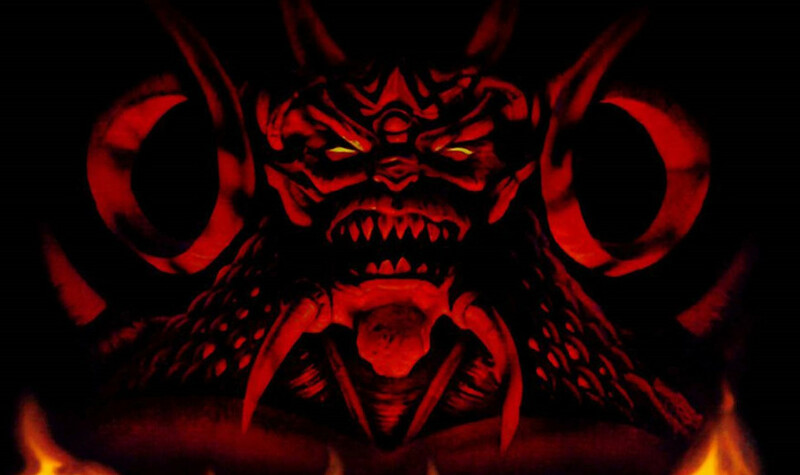 Q: Speaking of bleeding edge, did you have a feeling when you were making Diablo that it was going to be as huge and as ground-breaking as it was? Dave Brevik: No, not at all. I knew when I first clicked a skeleton and it fell apart that there was something…I’d never experienced something like that before. And I knew that things were good when we would develop all day and the developers would stay and play at night – that was a good sign. And the feedback was positive. But I never expected it to be what it became. I was like, ‘Maybe we’ll sell 50,000 copies. Can you imagine selling 50,000 copies?’ [Laughs] Our original plan was to sell 10,000 copies, so if we could sell that I thought it was going to be a success. Then we sold…a lot [laughs]. Q: What do you make of Anita Sarkeesian’s work? Do you have a strong opinion either way? "I want to have a diverse selection of people to appeal to a wider audience, and also because everybody deserves to be a hero." Dave Brevik: I have a lot of strong opinions on that. In a lot of ways, I agree with what she’s saying. The fact of the matter is that the industry is filled with white middle-aged men, and that’s a shame. I try and do as much as I can to diversify not only our content…this is something that’s been a big personal crusade for me actually, from the beginning – although I didn’t really talk about it. We had women that you could play from the very beginning, as well as people of colour. I want to have a diverse selection of people to appeal to a wider audience, and also because everybody deserves to be a hero. It’s near and dear to my heart because I have four daughters, so making sure they play video games where they can be the hero is important to me. I think we as an industry really need to do something about this and really focus on diversifying what we’re doing, because I want everybody to be a gamer. We have quite a few women on our team and a wide variety of people in general, and I think that getting women into science and computer science – I would love to see that more. That will lead to more game development from other walks of life. I wanna see my gaming content mature with me. Marvel’s difficult in some ways because so many of the superheroes are male, but we’ve tried to introduce tonnes of female versions. Getting something close to a 50/50 balance is important to us.